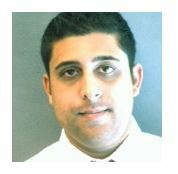 Mug Shot Monday — Nik Patel’s Two-Year old Quotes Hint at Fraud? All are quotes from Nik Patel in a profile by Hotel News Now published two years ago. Nik Patel is the sole figure accused of an $180 million fraud of selling bogus USDA business & industry loans to Pennant Management. The investment firm closed its doors last week. The purpose of my fraud coverage is to educate small business lenders of the warning signs of fraud. One of the warning signs I see is a fraudster thinks they are the smartest person in the room. That attribute doesn’t automatically equate with being a crook, it is simply a warning sign that should be be explored. And I believe this attitude is apparent from the article. Patel’s plan was to buy hotel properties no one else would touch. He was the only one to have the “vision” and smarts to know which hotels to purchase and renovate throughout the country. “No one wanted the (University of Central Florida) Holiday Inn for a long time, but we had a vision. We saw where the market was going, and we acted on that,” he said.